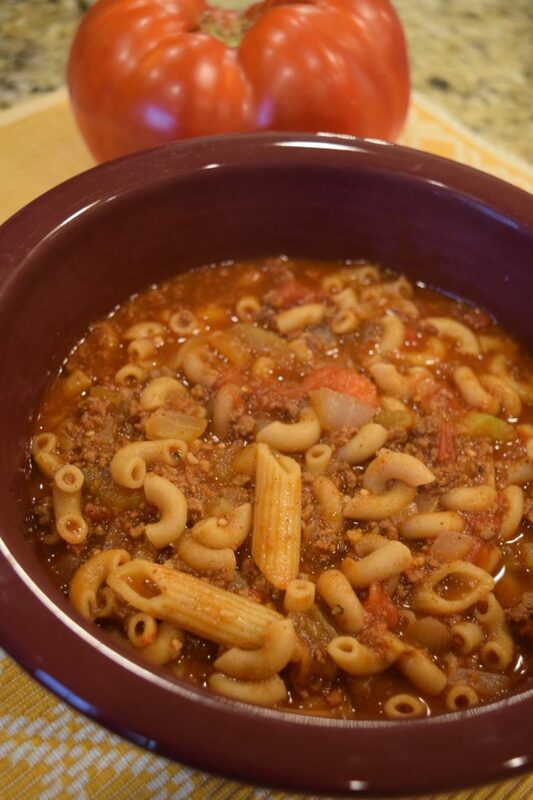 I love goulash. 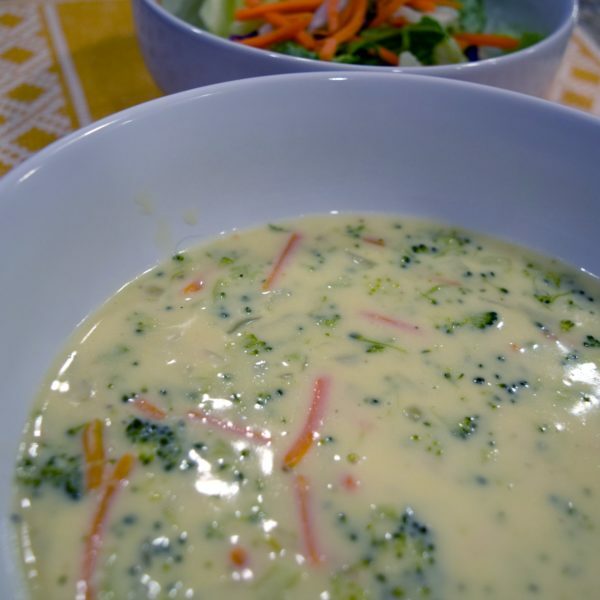 It is one of those great, easy to make comfort foods. 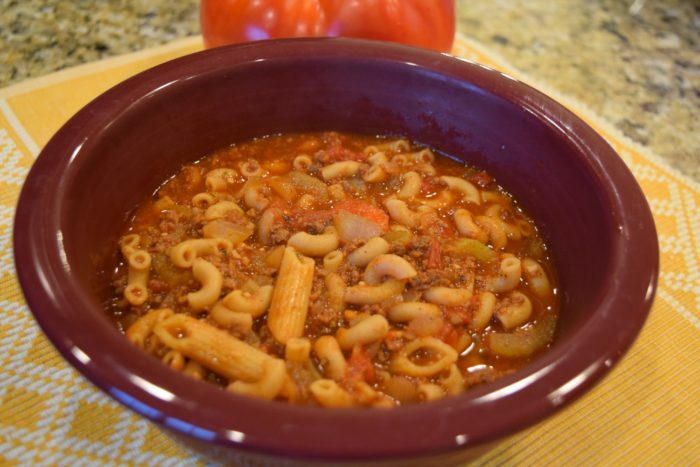 This Instant Pot Goulash recipe makes it extra easy since there is no need to use separate pots for the pasta and the meat. 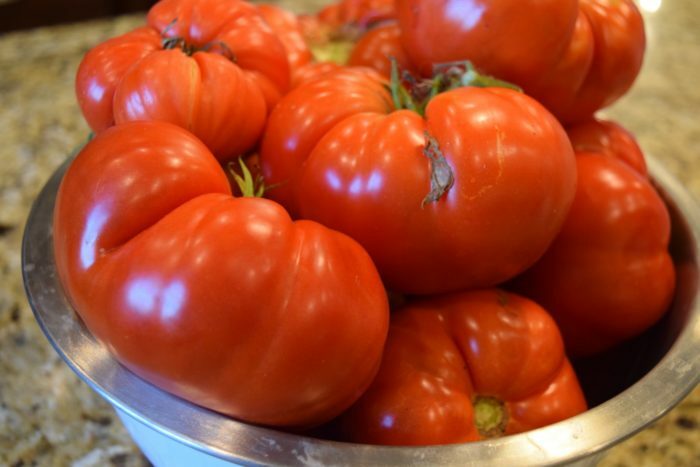 Our tomatoes went nuts this year, and I found myself with more than I knew what to do with. So, I made this goulash recipe using fresh home-grown tomatoes. You can use canned diced tomatoes instead if you desire. Simply substitute two cans for the two tomatoes. 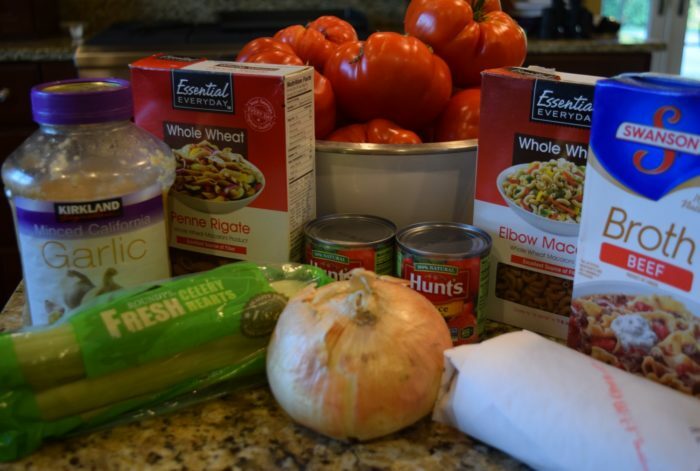 The ingredients for my Instant Pot Goulash were all things I already had in the house. I used whole wheat pasta, but white pasta is fine as well. I used both elbow macaroni and penne, simply because I had some of each to use up. The recipe technically calls for elbow macaroni. I also added celery when my normal goulash recipe does not include it simply because I had some that I needed to use up. If you are not a celery fan, omit it. It isn’t usually in traditional goulash! 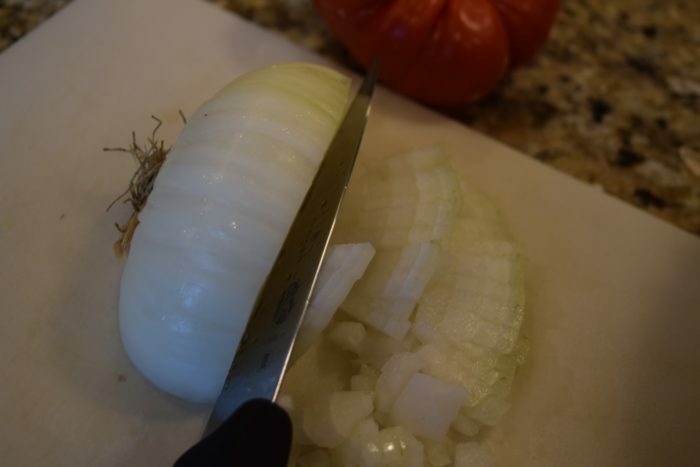 Start out with dicing a large onion. Next, dice up two large fresh tomatoes. If you really like tomato, dice up three! 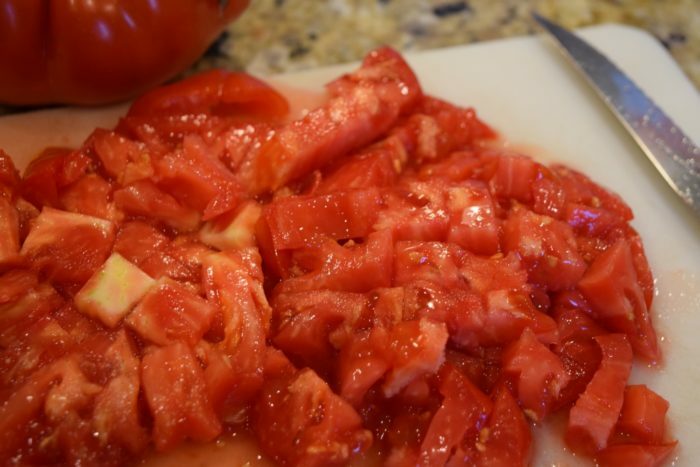 One trick for cutting tomatoes is to use a serrated knife. 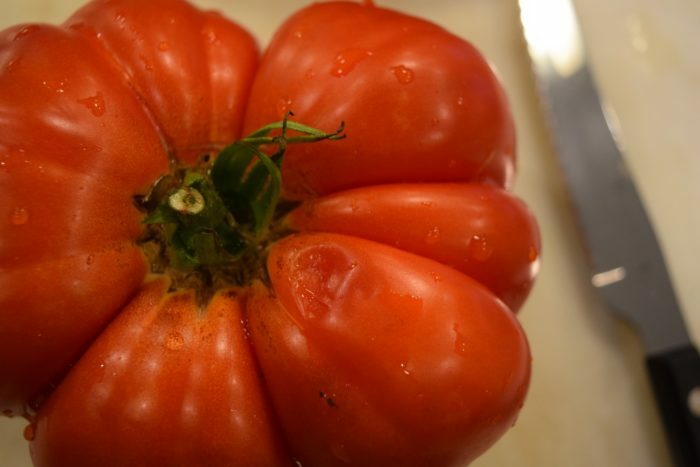 It creates a cleaner cut in really juicy tomatoes. I used a steak knife. Brown the ground beef, onion, celery, and garlic in the Instant Pot on saute mode with some salt and pepper to taste. Add in the remaining ingredients and float a few bay leaves on top. It is a good idea to place the tomatoes on top and press the pasta into the liquid from the top. Don’t stir it in. You want to keep the pasta off of the bottom of the pot. Your goulash is now ready to pressure cook. On manual, pressure cook your Instant Pot goulash for around 4 minutes. A good rule to use for cooking pasta in the Instant Pot is to cook it for half the time listed on the package minus one minute. Mine said 10, so I did 4 minutes. If you like very soft pasta, add a minute. Further, the starch in pasta will sometimes foam when you hit the release. If you have any problems with foam coming out during the quick release (I did not with this recipe), use a long handled spoon to pulse the lever back and forth from sealing to venting. that will slow down the foam a little. When done, use quick release and you are ready to eat! 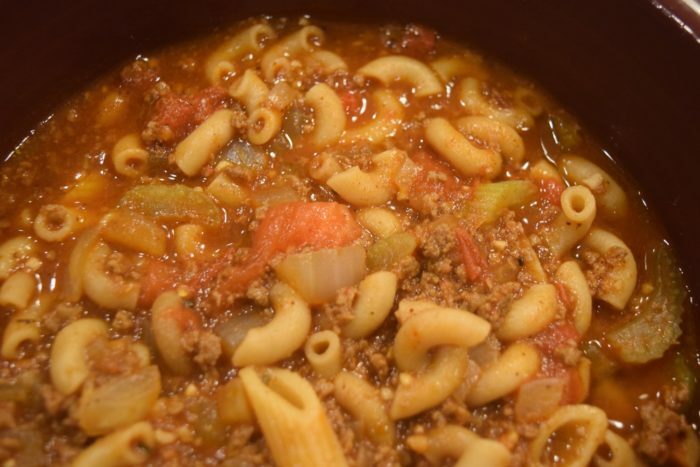 Serve this Instant Pot goulash up with a salad, or perhaps some tomato slices. I like to top mine with grated cheese. 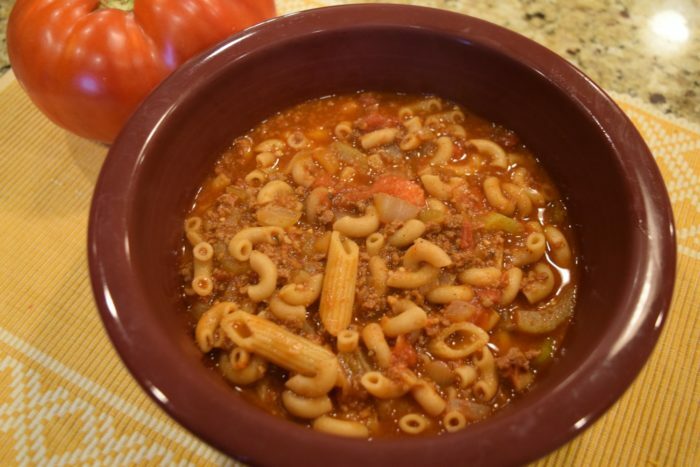 This goulash recipe was a hit and will be going into our regular Instant Pot recipe rotation! 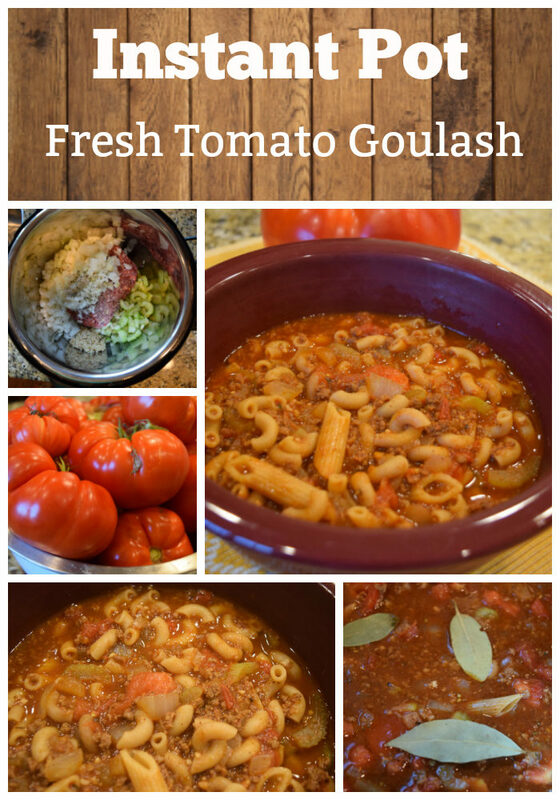 Instant Pot Goulash made with fresh home grown tomatoes. 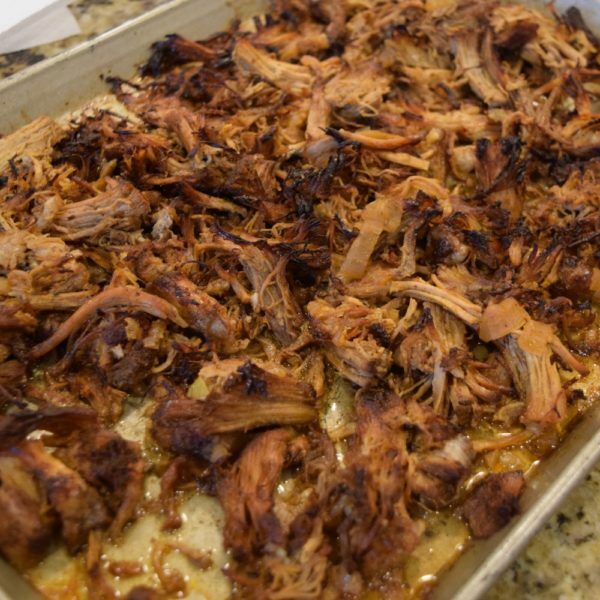 A nice comfort food made easy in the Instant Pot. 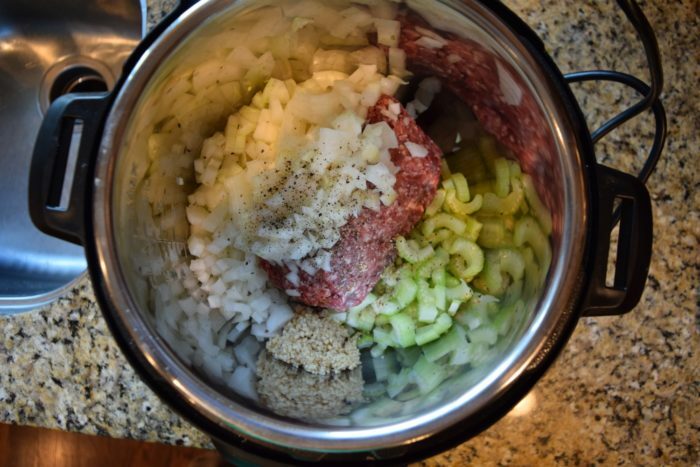 Turn the Instant Pot to saute and brown the ground beef with the garlic, salt, pepper, celery, and onion. 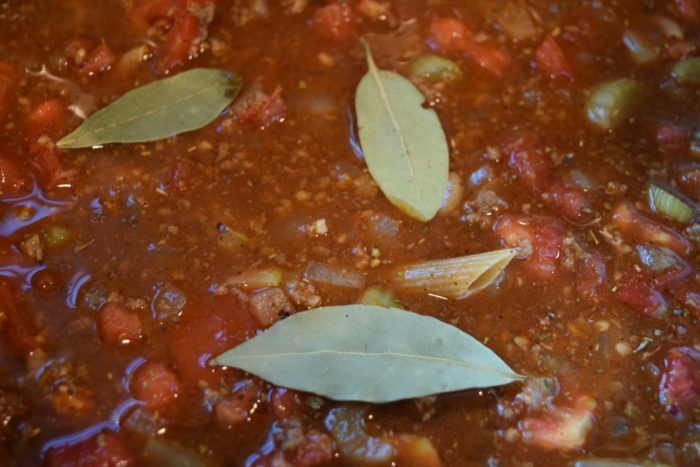 Drain fat and add the tomato sauce, diced tomatoes, Italian seasoning, soy sauce, Worcestershire sauce , chili powder, broth, noodles, and bay leaves. Set the Instant Pot to manual high pressure for 4 minutes or half of the time on the pasta box, minus one minute. 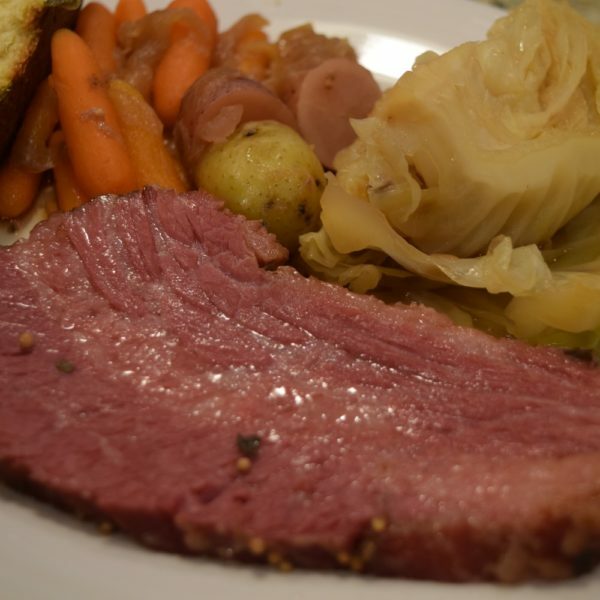 Take out bay leaves and stir. 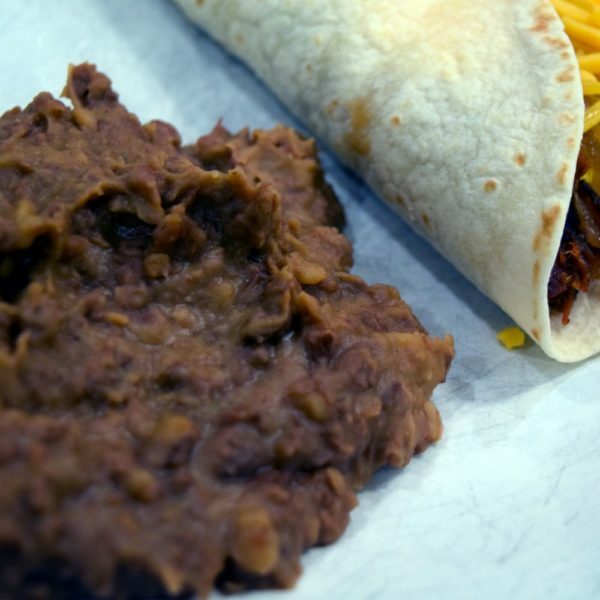 Serve topped with with cheese if desired and enjoy! next article: Instant Pot Korean Pork Chops, The Best Instant Pot Pork Chops Ever!